Hello Friends. So, today is my birthday. 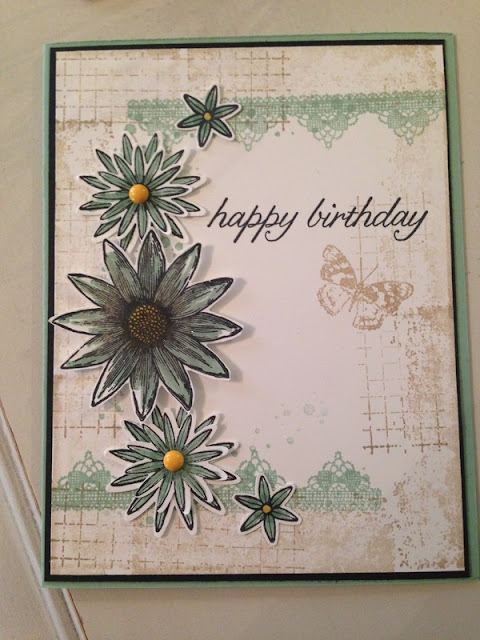 I thought I would share a birthday card I created along with take a moment to announce who the winner of my giveaway is. First of all the card. I dearly love the Mint Macaron paper and ink. Used along with the crumb cake ink its such a nice subtle look. 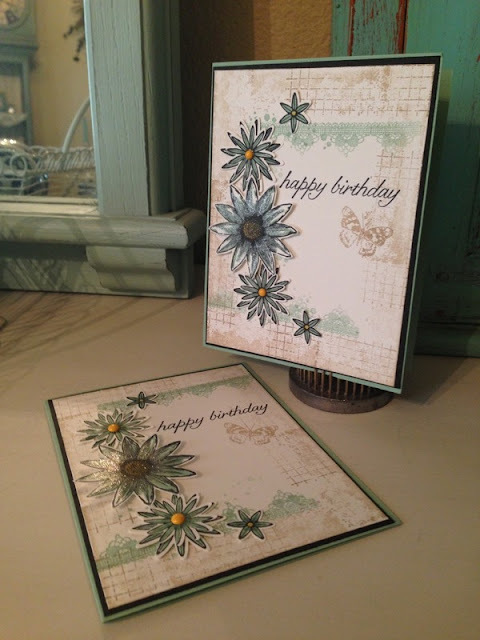 I used the new Timeless Textures stamp set and the flowers were created with the Grateful Bunch Stamp set. The verse was taken from Birthday Blossoms. All these supplies are available to purchase and can be obtained by visiting my 24/7 Stampin' Up store link at the top of my page. Remember, now through March 31st, you can also select one of the free items from the Saleabration catalog for every $50 purchase. Later this week, I will share with you a few of the new items that just came available on February 16th. Please email me your address so I can get those out in the mail to you this week. I hope everyone will continue to come back and visit. I promise to showcase more items, tutorials and giveaways in upcoming posts. Seen that I was your winner earlier today. But had to leave for work and didn't have time to comment. Shelley, I'm sooo Excited. Thank you so much. I e-mailed you earlier today. Hope your having a WONDERFUL Birthday!! !